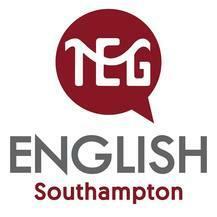 TEG English Southhampton is located in Brunswick Place in the centre of Southampton. Our building is opposite the large central parks with a great view. We are just a few minutes' walk to the main shopping centre, Solent University and Southampton Central train station. f you do business in other countries, are thinking of moving abroad or just want to learn a new skill, then our evening courses in French or Spanish could be for you. We can offer excellent French or Spanish lessons at a fair price with a small number of students and a native speaker teacher. Our lessons are designed to be communicative, topic-based and enjoyable. The main focus is on practical language you need in the French or Spanish speaking country. The classes are based around a coursebook, some of which is used for self-study at home. Please contact us for more information on course content and availability and we will be happy to help. Certificate of Course Completion with CEFR grading. Student Card for discounts to selected shops and services. Access to DVD and book library. Access to Wi-Fi and I.T. Area. We occasionally run courses in Italian, Portuguese and German. If you would like to study any of these languages, please contact us. It is possible that we can arrange Private classes for almost any language that you wish to study. These courses are designed to help you prepare and pass the external examination appropriate for your ability. We will check your level before you start your lessons and advise you on the best examination preparation course for your level of English. The FCE exam is a qualification in Upper-Intermediate English (B2*) and is internationally recognised. Our evening course will prepare you for all aspects of the exam. The course contains practice in speaking, listening, reading, writing as well as attention to commonly-tested grammatical structures and useful vocabulary. CAE tests you at an Advanced level of English (C1*) and will provide strong evidence that you have reached a high level. Our course will prepare you for all aspects of the exam. Most university courses in the UK will accept a CAE certificate as proof of your ability in English. The course contains practice in speaking, listening, reading, writing as well as attention to commonly-tested grammatical structures and useful vocabulary. CPE is the highest level of the Common European Framework (C2*) and should only be attempted by students with a very high level of English. We can advise you on your suitability for this exam. A CPE certificate is extremely impressive to employers and shows that you have near-native speaker competence in English. The course contains practice in speaking, listening, reading, writing as well as attention to commonly-tested grammatical structures and useful vocabulary. The International English Language Testing System (IELTS) is the standard exam for those overseas students wishing to enter university in the UK. Our IELTS evening classes focus on exam technique and emphasise the linguistic skills you will need to be a success at university. The classes also contain a strong element of General English to ensure that you continue to improve overall. These classes are ideal for non-visa students who work during the day or prefer to study in the evenings. The International English Language Testing System (IELTS) is the standard exam for those overseas students wishing to enter university in the UK. Our IELTS classes focus on exam technique and emphasise the linguistic skills you will need to be a success at university. The classes also contain a strong element of General English to ensure that you continue to improve overall. We can arrange special one-to-one classes to suit your needs. These classes are useful for those who have specific needs or goals and want personal attention from an experienced teacher. The lessons can be arranged at times to suit you (subject to availability) and can be booked for a minimum of one hour. In July and August, we can offer Courses for individual Young Learners aged 10-15. This is ideal for parents who wish their children to improve their English during the Summer Holidays. These classes are exclusively for under-16s. Parents can choose any number of study weeks for their children to suit their summer plans. Our Junior Summer Programme is available to individual young learners who have temporary or permanent accommodation in the UK with a parent or guardian. The programme is for people with little or no previous experience of teaching, or those who have teaching experience but not in EFL or ESOL. The course will teach you the principles of effective teaching. It will provide a range of practical skills for teaching English to adult learners and will give you hands-on teaching practice. • CELTA covers five key topics: Learners and teachers, and the teaching and learning • context Language analysis and awareness • Language skills: reading, listening, speaking and writing • Planning and resources for different teaching contexts • Developing teaching skills and professionalism. You will be assessed throughout the course and your final grade is based on your progress by the end of the course. The main way you are assessed is through teaching practice – you will teach for a total of 6 hours, working with classes at two levels of ability. You will also complete four written assignments.